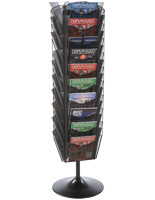 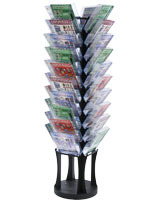 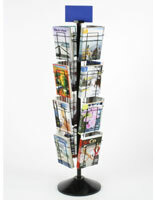 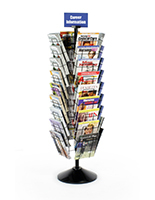 These magazine spinner racks are made of silver aluminum with (20) plastic pockets. 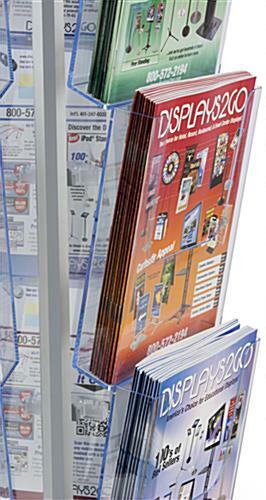 The brochure stands can rotate 360° for maximum visibility and display their contents with their clear shelves. 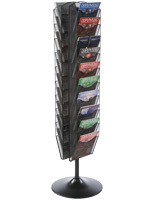 The spinner racks can hold reading materials measuring 8.5" x 11" or smaller. 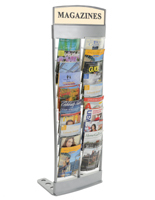 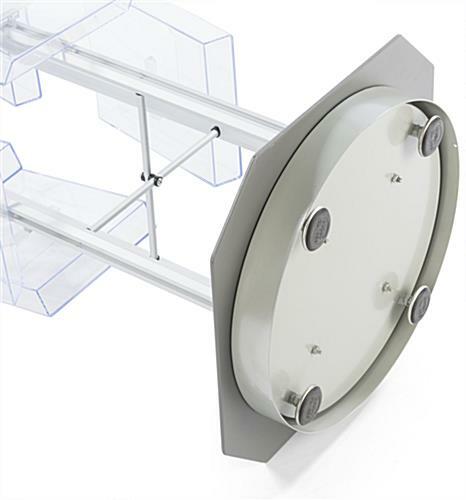 The silver aluminum fixtures are great for retail stores because they can hold a large quantity of literature in one place. 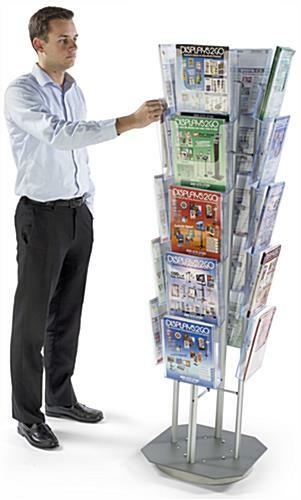 The racks allow customers to browse through reading materials by simply rotating the holder. 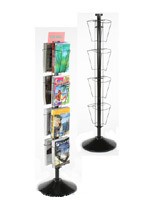 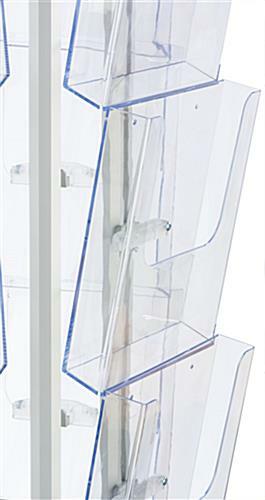 The brochure stands' clear pockets are height adjustable and made of strong polycarbonate for use in high traffic environments. 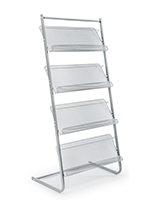 18.5" x 64.5" x 18.5"
8.8" x 9.8" x 1.6"
17.4" x 2.4" x 17.4"